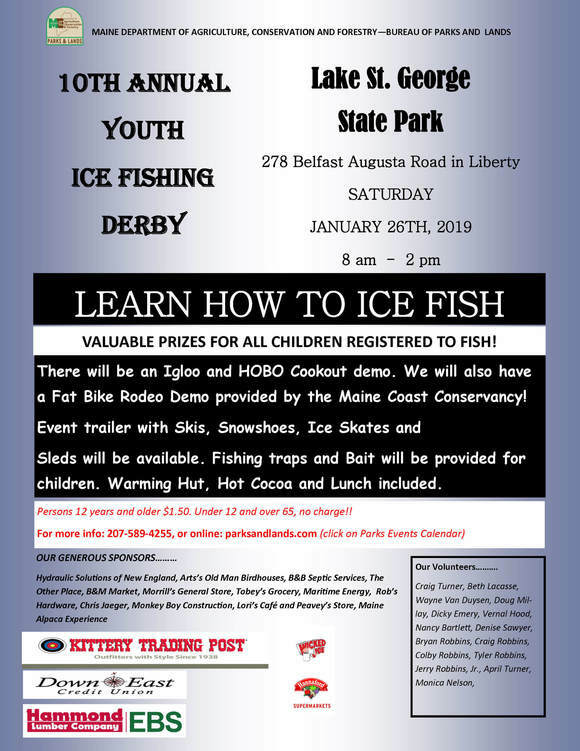 Come join us and learn how to fish! All equipment and bait provided! We will be serving lunch and hot cocoa while supplies last. There will be a nice warming hut as well. Preregister in the big white barn before heading out on the ice. Cost: $1.50 for adults and youth ages 12-64. All others are free.